Cyprus is officially called as the Republic of Cyprus which is an island country lying in the Eastern Mediterranean Sea, to the east of Greece, to the south of Turkey, to the west of Syria as well as Lebanon, to the north west of Israel and to the north of Egypt. Cyprus is recommended as the 3rd largest island in the Mediterranean Sea and the Republic of Cyprus is a major member state of the European Union. We have our connections with the major suppliers such as the Sixt, Budget Cyprus and Auto Direct in the country. 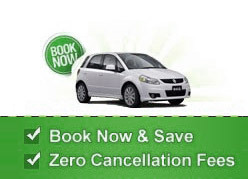 So, you can easily book a car rental deal in Cyprus with us to enjoy the discounts given by our major suppliers. Our suppliers also give you an option to choose from various pick up locations like Larnaca International Airport, RAF Akrotiri, Ilker Karter Air Base, Ercan Intl Airport, Kingsfield Air Base, Paphos Intl Airport, Lakatamia Air Base and the Nicosia Intl Airport. Cyprus has its main capital as well as its largest city as Nicosia. You will be amazed to know that the Khirokitia village has been added to the names of world heritage sites as it contains the archaeological remains of the Neolithic period. The same case is with the Paphos as well as the Painted Churches of the Troodos Region. You can also use our car rental service in Cyprus and visit the water wells here which are the oldest in the world.